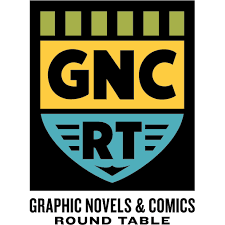 As we gear up for the American Library Association’s 2019 Midwinter Meeting, we’re celebrating the official debut of ALA’s new member-driven Graphic Novels and Comics Round Table. We regularly feature graphic novel galleries in our conference display booths and are proud to represent a range of publishers who produce fine visual literary work for kids and teens. Whether you’re attending the Midwinter conference or not, you can visit the Diamond Bookshelf Pinterest boards we created and keep well stocked with news, tips, awards lists, and even graphic novel related lesson plans and discussion guides. Check out the wide range of “Best of the Year” lists on our 2018 awards board. Read reviews of the newest Fall 2018 graphic novels from comics publishers. Consult the collection of Teacher & Librarian Resources with its ready-to-use plans for discussions and lessons. 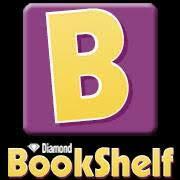 You’ll find other helpful information on the Diamond Book Distributors Pinterest site as well, including recommended titles for specific grade levels. We keep these Pinterest boards updated frequently and our pins are powerful because they take you to curated resources to assist you in collection management and programming for youth of different ages, interests, and needs. Share away and keep checking back to find what’s new! Hope we’ll see you at Booth 2211. However, we know we’ll see you on Pinterest.